The Greg Norman Collection was created in 1992. Today, the brand offers an affordable, and classy collection that has proven to be as legendary its namesake. The Shark logo has become a golf staple, and for good reason. The designs offered by Greg Norman may not be described as trendy, but they are appropriately sharp and never go out of style on the golf course. They are as timeless as a golf icon in a straw hat. Breaking down the apparel we featured from Greg Norman for our spring shoot, a few notes stand out that might confirm they are targeting an older audience. I believe that the majority of older ladies do prefer their pants/skirts to fit on the waist not below, and do not seem to wear athletic leggings. I am assuming this is why shirts in this collection are designed shorter in length. Younger females more often wear bottoms below the waist and thus need longer shirts, especially to accommodate a golf swing. Short length shirts do not work for me, unfortunately. I feel like I say this every other post but, I will never understand why all brands don’t offer longer shirts as a standard. It only makes sense. I will say that Greg Norman does offer a great color palette in their basic polo line and some interesting designs in their seasonal offering. 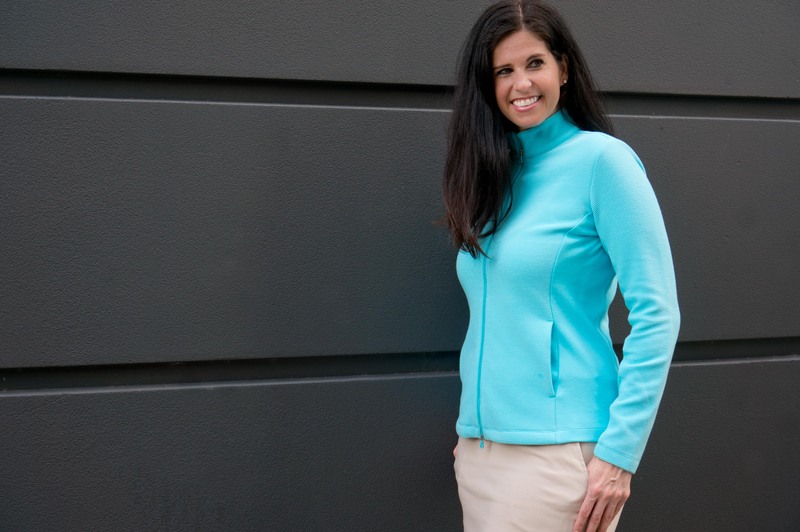 Also, I really love the aqua jacket I wore for the shoot. It was a vibrant color and super cozy. The fabric was ridged and gave it a different look. 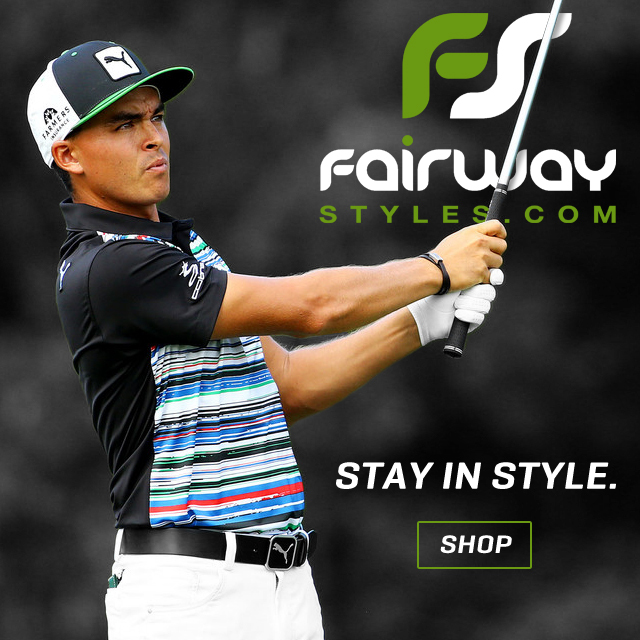 If you are looking for classic and comfortable golf apparel that never goes out of style Greg Norman is the way to go, whether you are 25 or 55. A flattering skort and a great staple polo are pieces that know no age. They are simply timeless. 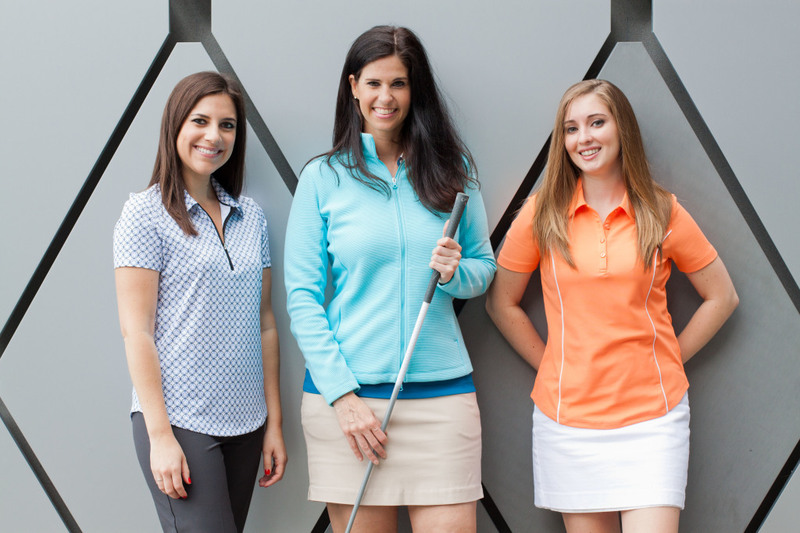 Check out the ladies and men’s Greg Norman collection.